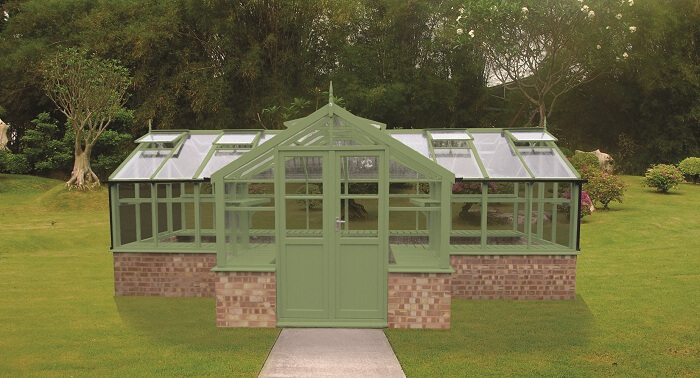 The Swan has a gable width of 8ft 9ins and a porch width of 8ft 9ins and is available in three standard lengths. This greenhouse was constructed on a dwarf wall. However the standard version is built on a boarded base. As with the Cygnet and Mallard, guttering and two front returned shelvings are supplied as standard. Double doors are also supplied as standard.